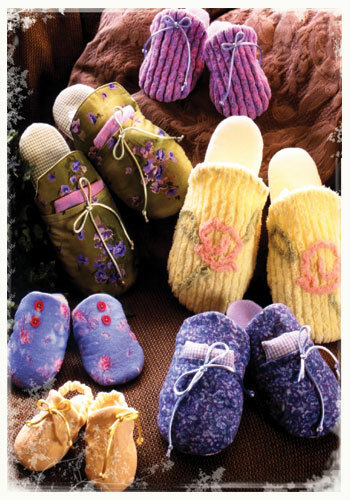 These slippers have an optional front pocket and a pouch to pop in the microwave to keep your toes toasty warm! 10 sizes are included in this quick & easy pattern. (Pocket with heatable pouch is only an option for adult & children's sizes). Instructions are included for chenille versions and chenille appliqué.